Duende by Madam ZoZo began with a travel destination; a spark of inspiration; and a burning question I needed to be answered. The Classical Architecture 101 series is no different. On a visit to Washington D.C. I found myself surrounded by extraordinary architecture, but without a clue how to identify the style or eloquently describe it in the correct vocabulary. This led me down a rabbit hole of research into the built environment of the United States’ capital, in particular, neoclassical architecture. Of course, one cannot understand neoclassical architecture without having some background knowledge in classical architecture. 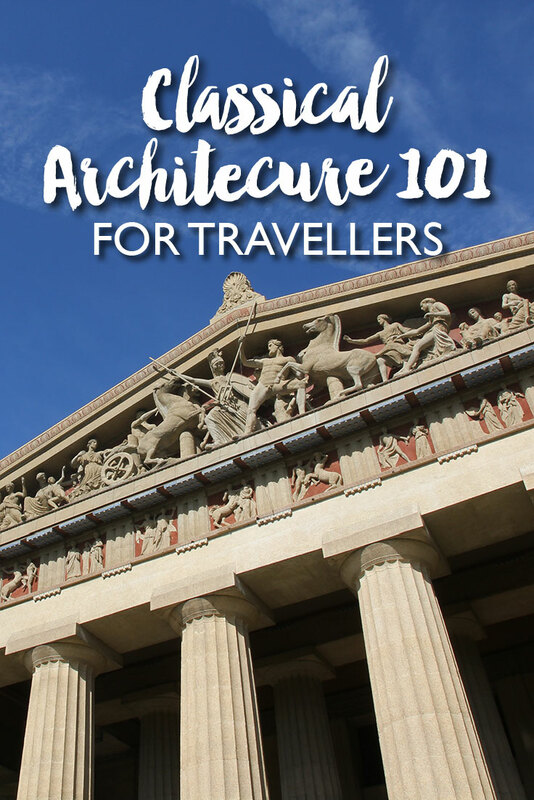 This is what spurred the creation of the Classical Architecture 101 Series – so together we can become wiser, more cultured travellers. Classical architecture can be a broad and brain-scrambling term, a catch-all for a whole bunch of sub-styles that began with the architecture of ancient Greece, then was further developed by the Romans. In Part 3, we take a closer look at the decorative details used throughout Ancient Greece and Rome, many of which has persisted through time and evolving architectural movements. Whether you’re working out at the gym, watching a sports game in a stadium or attending the theatre, all roads lead to Ancient Greece and classical architecture. Then why not learn a little more about this concept that seems to be all around us? Being that around 2517 years have passed since the Greek’s developed the beginnings of classical architecture, it has come and gone from fashion more than a few times.